Merida Meet-and-Greet: Merida meets guests for photos and autographs in the Fairy Tale Garden in Fantasyland at the Magic Kingdom park in Disney World. Merida typically appears intermittently from 9:15AM to 6:40PM daily but check the Magic Kingdom Times Guide, available in the racks with the Magic Kingdom maps near the front of the park, for exact times during your visit. Tip: Go as early in the morning as possible as crowds build as the day progresses. Brave float featuring Merida in the Festival of Fantasy Parade in the Magic Kingdom at Disney World. 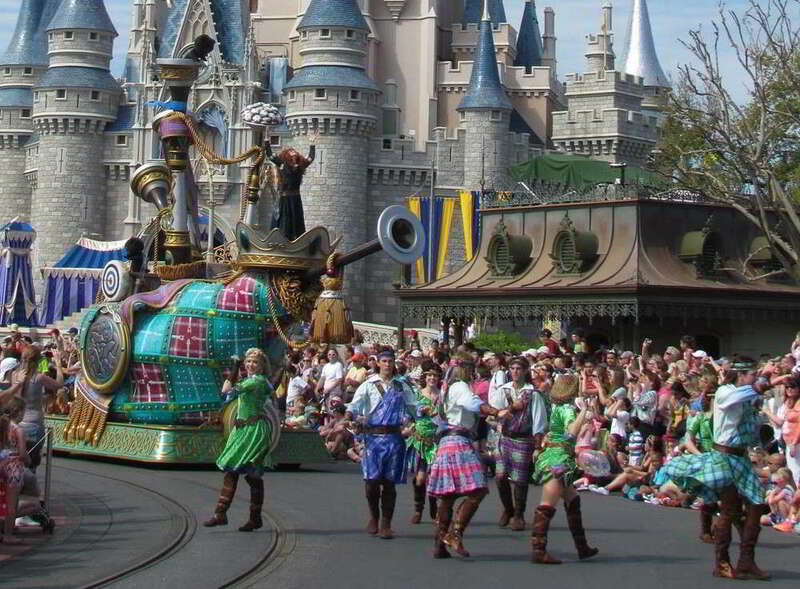 Is your clan headed to Disney World? Our Disney-focused travel agents can help with every detail - from resort and dining reservations to FASTPASS+ selections to theme park touring plans that keep you ahead of the crowds and out of the long lines. 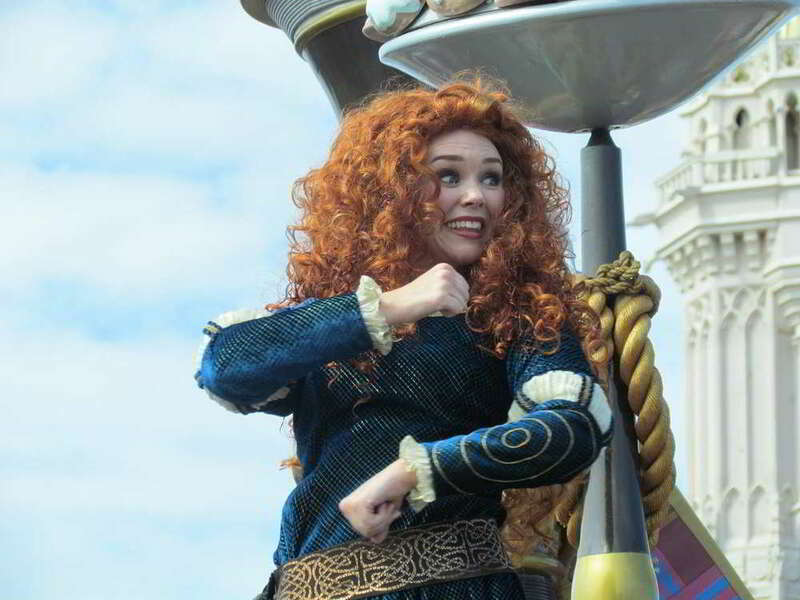 Photo credit: Merida and Brave Festival of Fantasy Float Photos by John Frost via Flickr Creative Commons. Use the buttons below to search for other Disney Princesses by name or all the princesses available at a specific Disney World theme park. Click here to return to our main Disney Princess Page.